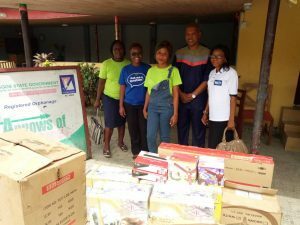 On Friday, the 6th of April 2018, Sage Foundation in partnership with Sesor Empowerment Foundation donated a range of appliances to The Arrows of God Orphanage located at Ajah, Lagos state. 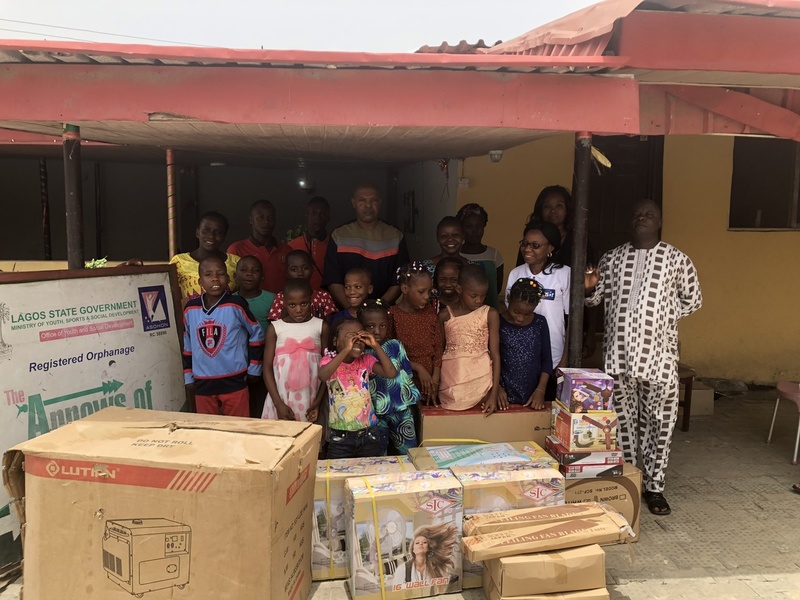 Sage and Sesors partnership and work with Arrows of God orphanage dates back to 21st of December 2016, where they threw a fun-filled christmas party for the children. This time, Ms Dume Achuka, the Sage office manager handed over; a 6.5kva diesel generator, 12 wall fans, 2 DVD players, 6 ceiling fans and a 43” LG TV to Mr David Ogo the director of the Orphanage. ensuring the items were delivered safely to the orphanage. Sesors program officer, with Arrows of God administrative team and the happy children. 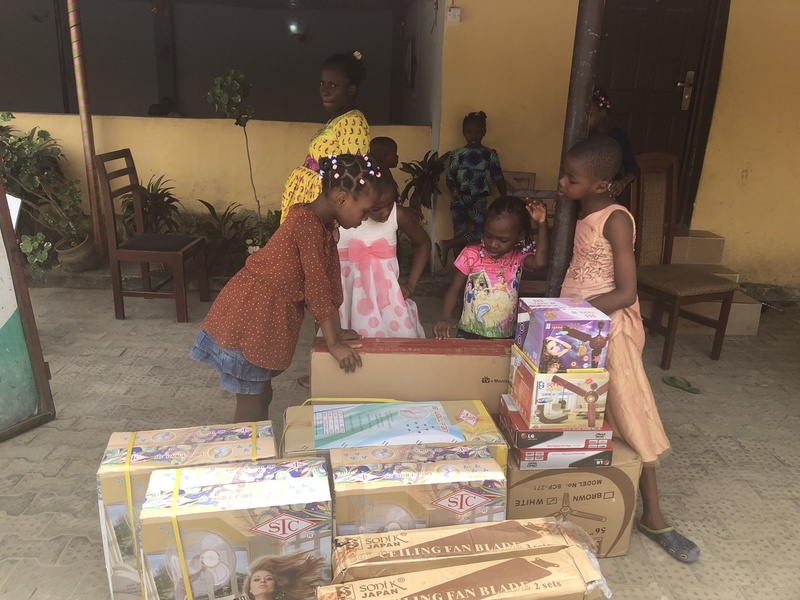 To support our work, kindly donate to our Sesor Empowerment Foundation GTB Account 0170089727 or our StanbicIBTC Account 0002888203 or click the button below to donate via our website. 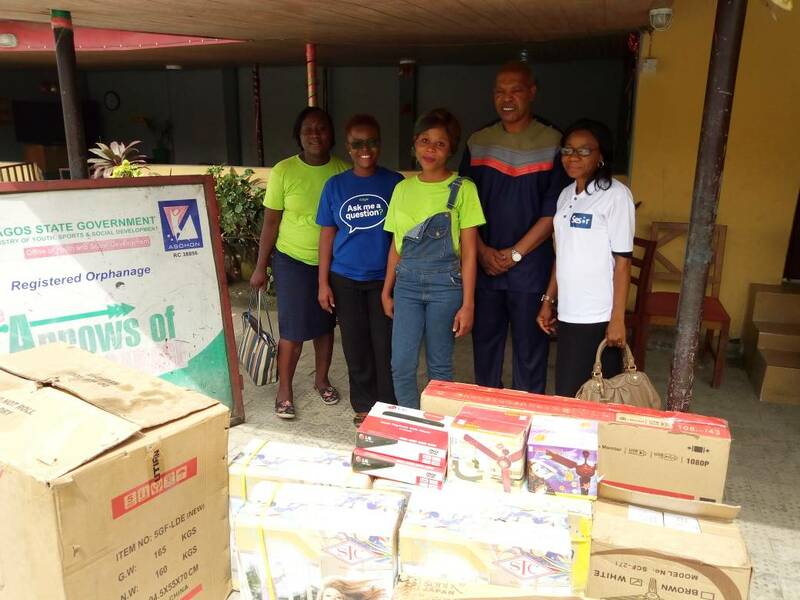 « Nike Art Gallery Partners with Sesor to Celebrate International Womens Day.